We Offer a Variety of Tours and Trips. We Strive to Being Best in Price and Best in Service. Highly Trained Professionals at your Service. We are Committed to Bringing you a Easy and Fast Booking. We Offer a Wide Range of Tours and Trips for all Budgets and Entertainment needs. With pickups in the greater Detroit Area and rates that are usually the cheapest you can find, there’s no reason not to see why we have become one of the largest Tour Companies in Southeast Michigan. Please click below to see the full list of trips in our brochure! Travel With Us Today and Have Fun With Us Now! With our wide range of bus tours and trips, you’re sure to find what you’re looking for. 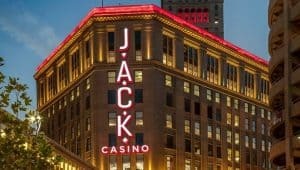 Whether it be a Casino Day trip to Firekeepers, a Casino Overnight to Little River, or a sightseeing tour of Frankenmuth, we have the most popular tours at the best rates. And we pride ourselves on offering all these options without sacrificing service. Come find out why so many others have made the switch. We offer trips to Firekeepers Casino every month come and join us ! See Our Casino Specials Now ! We have been in Business for 13+ Years.